Breast reduction candidates are often some of my happiest patients. They present for their appointment with complaints of pain in their back, neck & shoulders, deep grooves from bra straps, skin irritation beneath breasts, and limitation of activities due to the size & weight of breasts. Then postoperatively they feel not only like a load has been taken off their shoulders but their pain is gone and they have a new lease on life. Most tell me they wish they had done it sooner! The goal of breast reduction surgery is to reduce the breast overall size & weight to relieve the symptoms and create a perkier, smaller breast. The big tradeoff is the scar. You cannot do a breast reduction without scars, but they are mostly on the lower pole and are hidden by a bra or swimwear. 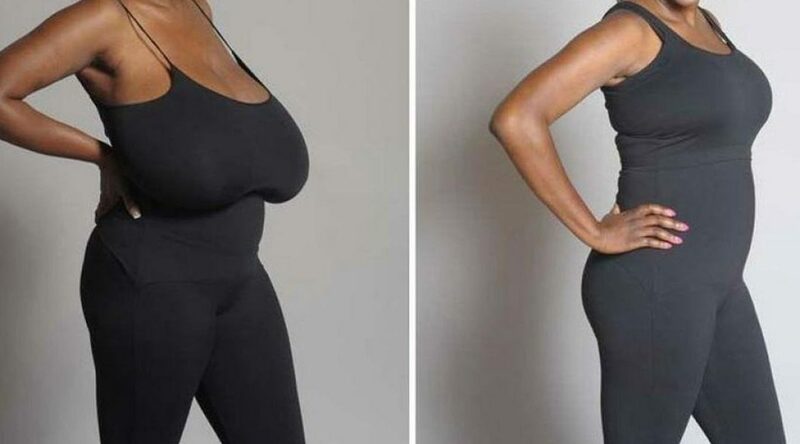 There are several different styles in breast reduction surgery but I prefer a vertical technique. This approach results in less scarring, a narrower, perky breast and longer lasting upper pole fullness. This is done as an outpatient so you can go home the afternoon of surgery. Full range of motion and activity can resume usually 2 weeks post-op and pain can be controlled with oral medications. Returning to work will depend on what type of work and the physical demands of your job. Most insurance carriers cover this procedure with a predetermined weight removal minimum based on height and weight of the patient. During the exam, I take measurements & photos that are sent to the insurance company to establish eligibility for breast reduction surgery. It is not uncommon for active teenage girls to desire a breast reduction. Those who are involved in athletics or sports find that a large chest is painful and can limit their performance. Since they are usually in good physical shape their recovery is quicker, although the ability to breastfeed later in life may be diminished. What patients can expect almost immediately after reduction surgery is a lighter chest, relief of upper back, neck and shoulder pain and having a slimmer appearance. So many of the women I see, who need a breast reduction, have suffered for years with the physical and emotional symptoms of large breasts. In my 25 years as a plastic surgeon, I would say this procedure does more to improve a woman’s life than most other reconstructive procedures. So if you are experiencing back and neck pain and think a breast reduction might be an option, I recommend a consultation at my office. Please call at (903) 535-7722.